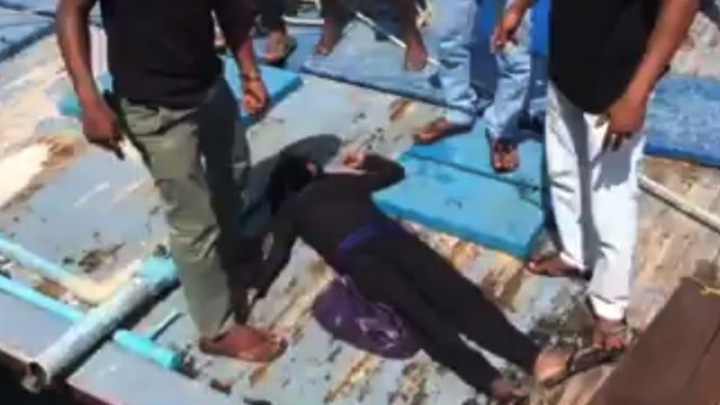 The criminal court today fined a man MVR200 (US$13) for physically assaulting his wife and shoving her onto the deck of a fishing boat in January. Luthfee Umar from Laamu Isdhoo was found guilty of assault based on his confession and the medico-legal record of his wife, which stated that her lips were torn. Local media reported at the time that Luthfee was thrown into the sea near the fish market in Malé by angry bystanders and was not allowed to climb out until the police arrived at the scene. The current penal code enacted in 1966 carries a penalty of either six months in prison, six months of house arrest, or a fine of MVR200 for assault. However, the new penal code – due to come into force in July – has a penalty of a maximum of four years for assault depending on the severity of the case. The new penal code was due to come into force in April, but the pro-government majority in parliament delayed its enforcement to July citing lack of public awareness and concerns of religious scholars. Today’s sentence has sparked outrage on social media, with one user observing that the fine is smaller than that of a parking ticket. The sentence was passed by criminal court chief judge Abdulla Mohamed, who has previously been accused of misogyny. In 2005, then-attorney general Hassan Saeed sent a letter to then-President Maumoon Abdul Gayoom outlining several allegations against the judge. “We get a hefty MVR750 (US$ 49) just as a parking violation fine. With this sentence, beating a woman means less than a parking ticket,” said Rozaina. Rozaina said that under the Domestic Violence Act, the police have the responsibility to explain the rights of the victim, such as getting a protection order, which has to be issued immediately. “The current penal code is severely outdated. 200 rufiyaa was a big figure then. But now it is very little,” said Rozaina.